As the Star Trek film franchise wades even deeper into time-traveling trippiness, there remains the question of Star Trek: Discovery’s place in the universe for its TV return. We know it takes place in the prime (read: pre-reboot) timeline, but a new report may well have uncovered Discovery’s relationship to Kirk, Spock and the others. Take this with a significant grain of salt for the moment, but Ain’t It Cool News managed to catch up with showrunner Bryan Fuller ahead of CBS’ August 10 TCA panel, before which Fuller acknowledged “There’s a big clue in the number of the ship [NCC-1031] that indicates when we’re set.” AICN makes the leap from there to suggest that Discovery must take place before the adventures of the NCC-1701 Enterprise, the original series ship that housed Captain Kirk and his crew. It’s hardly a guarantee, but if Fuller at least acknowledges a clue within the ship’s numeration, there’s only so many variables in that idea. Not for nothing, the Discovery’s design appears to draw on Ralph McQuarrie’s concept art for the abandoned Star Trek: Phase II series, though producers have stressed that design may not be final (or even legally referencing said series). 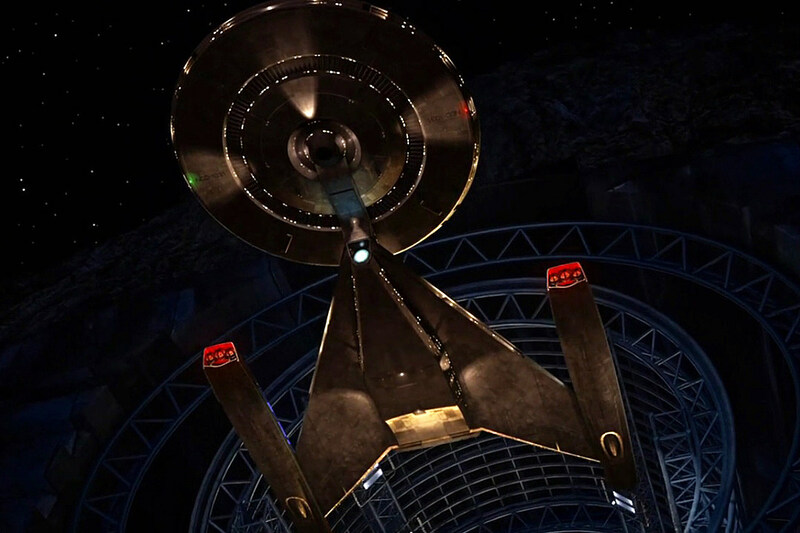 Shooting in Toronto this fall, the new 13-episode Star Trek: Discovery is officially said to return to the timeline previously rebooted by J.J. Abrams’ film series, as well to be “heavily serialized,” akin to a novel, more-so than an episodic nature.